We bought our home in 2006, for $242,000 – not a whole lot considering we live right in the middle of Philadelphia and New York City. 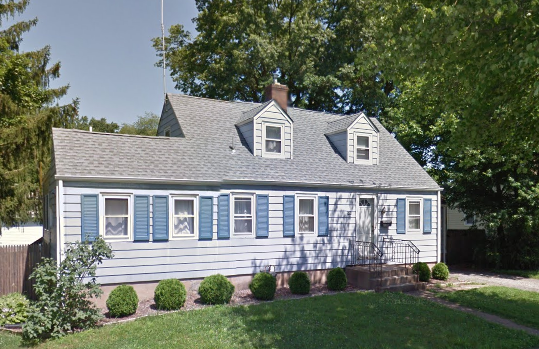 At that time, similar houses in Mercer County, NJ were going for over $325,000 so when we found a home that we liked in our price range in Bucks County, PA we jumped on it! Less than 6 months later, the real estate market collapsed, and our home was worth under $190,000. It was heartbreaking, and scary. Many families in the surrounding communities lost their homes to foreclosure. People were struggling to refinance because they were now “under water” owing more to their mortgage company than their home was even worth. Over the next few years, we contemplated refinancing our home, and when the HARP refi programs were announced, we thought this would be our chance to have our mortgage re-evaluated. That was in 2011. We went through our (then) mortgage company, Nationstar, and jumped through their hoops. We paid out a lot of money for the inspections and appraisals that they required, and 3 weeks into the process were told that we were denied for our refinance because… wait for it … our home wasn’t worth what was owed! We were devastated. We went into this whole process knowing that our home was now worth less than what we still owed, and that is why we wanted to refi! We were told that was the whole basis of HARP – to help people who were underwater on their mortgages. Instead, we didn’t refi, our mortgage payment stayed exactly the same, and we were left with over $1000 in credit card bills that had been used to jump through their hoops. Fast forward to this past summer, we are at a birthday party for a friends’ son, and we start chatting mortgages and refi with a group of our friends. My friend John told us that he & his wife, Aimee, refinanced and didn’t need to bring anything to the table. 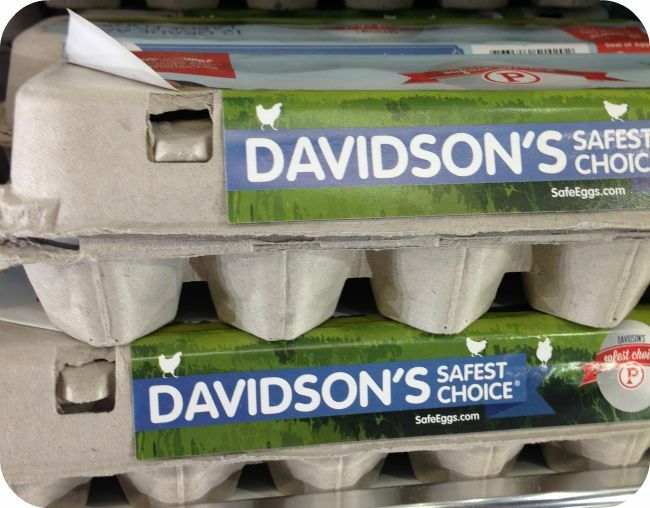 This had my interest, but I was still a skeptic after being burned 3 years ago. John gave me the phone number for his guy, and said we should give him a call. I held onto that phone number for over 2 months before I finally made the call one afternoon. I spoke to Matt Derby from New Penn Financial, and he assured me that we could work together on a refi for our home. 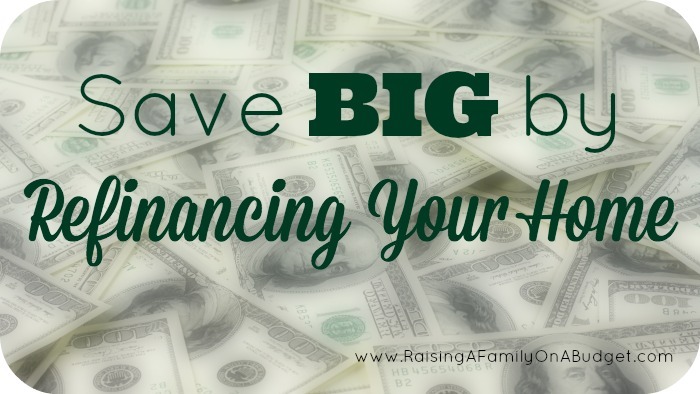 He asked what our financial goals were – lowering our interest rate, paying our mortgage off sooner, or paying less per month – and genuinely cared and listened. Over the next week, there was a lot of back & forth with paperwork, phone calls, and emails. Everything was very straight forward. Our goal was to lower our monthly payments so that we would have more money each month to pay down college loans and credit cards while allowing us to build our savings. Two weeks from the initial phone call, we were sitting around a table closing on our refinance. Not only did we not have to bring any money to the table (closing costs), but we didn’t pay anything in the process leading up to settlement either. No inspections. No appraisals. Nada. In fact, we left settlement with the knowledge that our next mortgage payment wouldn’t be due until October, so we had our September payment to do with as we please (we put it into upgrades around the house). In fact, a few weeks later, we even received a check back for $180 that we had over paid. Here we are 6 months later, and the only thing I wish we had changed was refinancing sooner. We are now saving about $500 a month on our mortgage payment, which has allowed us to pay cash for birthdays and holidays, build our emergency fund, and pay down our college loan debt and credit cards. An entire month dedicated to the celebration of ice cream?! Yes please! July is National Ice Cream Month, and I’ve partnered with Nielsen-Massey Vanillas to bring you one of my favorite vanilla ice cream recipes. Nielsen-Massey Vanillas is still a family run business, operated by the 3rd generation of Nielsens. They offer three different types of vanilla: Madagascar Bourbon, Mexican, and Tahitian, and all products are Gluten-Free, Allergen-Free, GMO-Free and Kosher. 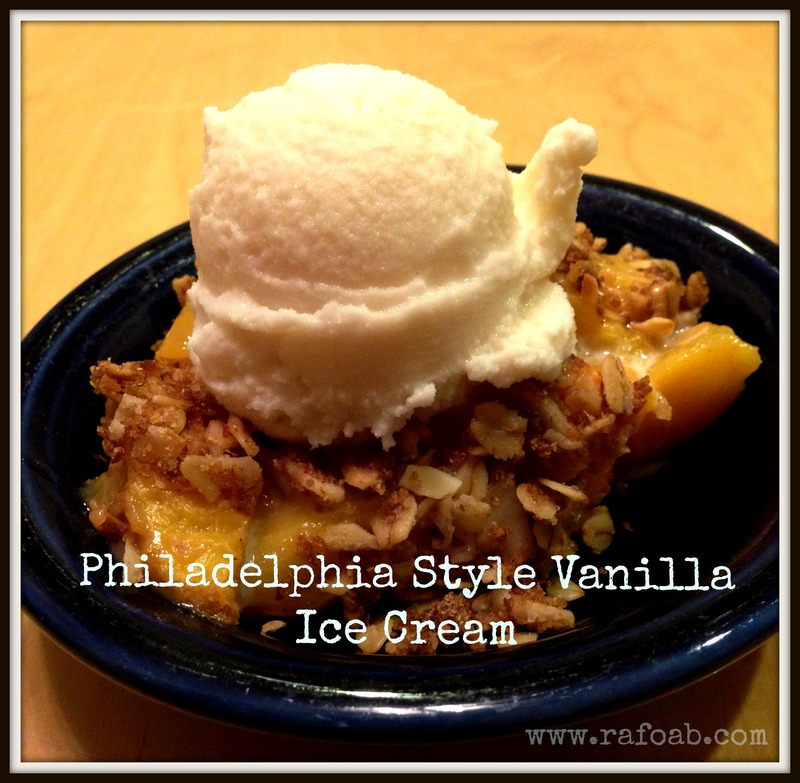 Usually, I go for chocolate ice cream, but when it comes to topping a fruity dessert like peach crisp, vanilla ice cream is the only way to go. Its delicious, and pairs beautifully with so many other flavors turning a regular dessert into something extraordinary. Philadelphia style ice cream is one of the simplest to make and uses just a few basic ingredients – milk/cream, sugar, and flavoring – all things I have on hand in my kitchen. With a few basic ingredients, you can make your own homemade ice cream whenever that sweet tooth gets the better of you, and since it is homemade you control the quality of the ingredients. For this ice cream, I am using my favorite – Madagascar Bourbon Vanilla. This is my go to vanilla for that classic vanilla flavor – Sweet, creamy and mellow with velvety after-tones. A deliciously creamy vanilla ice cream. Mix the ingredients together in a bowl. Make sure the sugar is fully dissolved so that your ice cream is not gritty. Chill the ice cream base for at least 3 hours. Prepare your ice cream maker according to the manufacturer's instructions. Add your ice cream base to bowl of your ice cream maker and process until it reaches the desired creaminess. 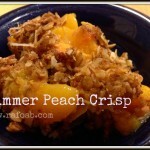 Serve immediately, or transfer into a container and freeze for 3-4 hours until it firms up. Do not use homemade vanilla extracts when making ice cream. The alcohol content of homemade extracts is higher, and will prevent the ice cream from freezing properly. Enter below for a chance to win a bottle of Nielsen-Massey Madagascar Bourbon Vanilla. Not Going to Use Your Groupon Before it Expires? Trade It In! Now you can trade in select local deals you buy but don’t have a chance to use for Groupon Bucks. Trade-In deals give you the assurance that you can get the purchase price refunded in Groupon Bucks any time before the deal’s expiration date. Go here for all of the details! 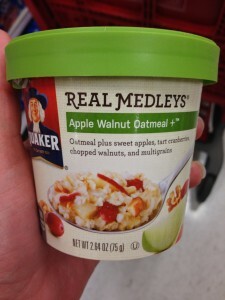 Until I few years ago, I absolutely hated oatmeal. It was fine as an ingredient in cookies or the topping in a fruit crisp, but there was no way you could get me to eat a bowl of the stuff for breakfast. It wasn’t a taste thing, but rather a texture issue. I periodically tried to eat oatmeal because I knew it was good for me, but it just wasn’t happening. 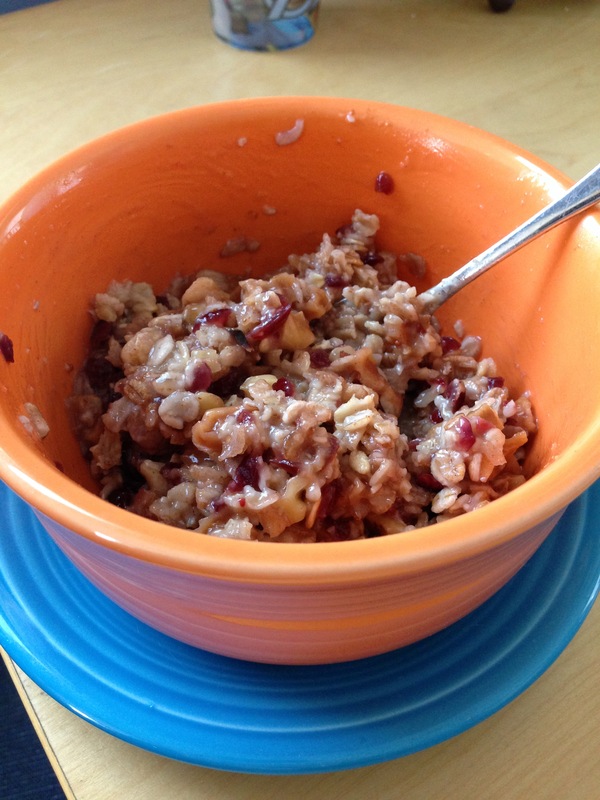 Then, in 2012, I was talking to a friend about running, and he suggested I eat oatmeal for breakfast because it will give me the sustainable energy to get through an early morning run. He then told me about these little oatmeal cups that he’d pick up at the store and keep in his locker for a quick meal on the go. 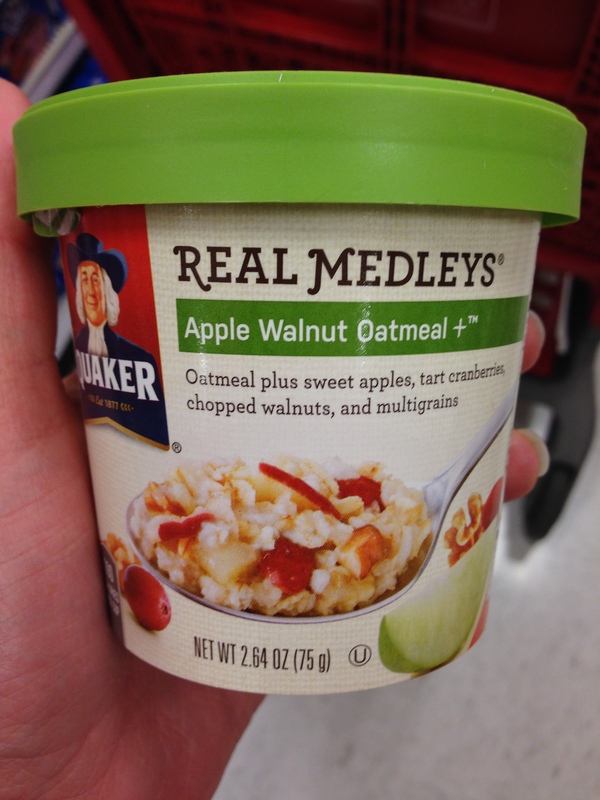 So, I figured I would be brave, and pick up a few of these little oatmeal cups at the grocery store. But that price! Ouch! 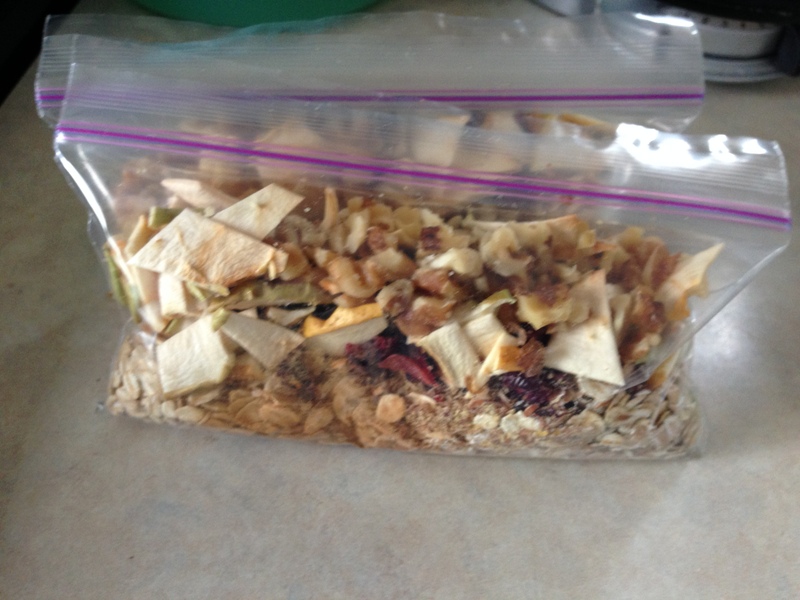 Less than 3 oz of oats, dried fruit, & nuts for almost $2 (over $2 depending on the store). Well, it was an experiment to see if I even like the stuff, so I did it. And you know what – these little oatmeal cups aren’t half bad. So I investigated the label – WHOLE GRAIN ROLLED OATS, MULTI GRAIN BLEND (WHOLE GRAIN ROLLED OATS, ROLLED BARLEY, WHOLE GRAIN ROLLED RYE), DRIED SWEETENED APPLES (APPLES, SUGAR), DRIED SWEETENED CRANBERRIES (CRANBERRIES, SUGAR), WALNUTS COATED WITH ROSEMARY EXTRACT, BROWN SUGAR, DEHYDRATED APPLES (APPLES, SUGAR, FRUCTOSE, CINNAMON, MALIC ACID, SODIUM SULFITE FOR COLOR RETENTION), WHOLE GRAIN ROLLED WHEAT, SALT, CINNAMON, NATURAL FLAVOR. In the grand scheme of things, not a bad list of ingredients, most of which you can purchase separately at the market. I am always curious about “natural flavor” though. The one thing that made me curious though was the multi grain blend; this must be the reason why I wasn’t having the same texture issue with this oatmeal as I had in the past with plain oatmeal. The multi grain cooks different and doesn’t get all gummy. Since I am breasfeeding, it is so important that I eat breakfast each day or else the headache I have by 10am is ridiculous! Having these oatmeal packets on hand in the pantry not only guarantee a no thought breakfast (one I can make while sleep deprived or before having my morning cup of tea), but also is chock full of whole grains and B vitamins which do so many wonderful things for your milk supply. When I’m ready to prepare breakfast, I dump one packet into a deep sided bowl. Add 3/4 cup water and 1 rounded teaspoon of coconut oil ($.09). Microwave on high for 1-2 minutes. Stir and cover (I just put a plate on top). Let sit for 2-3 minutes. 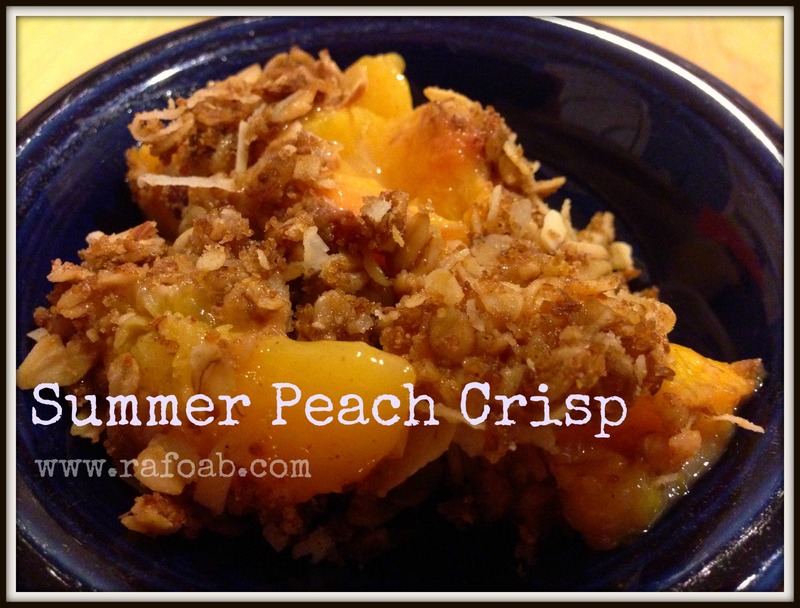 Add a healthy drizzle of raw honey or real maple syrup, and enjoy! Total – $1.30 per packet without coupons or bargain shopping (I bet we could easily get that to under $1 a packet with a little extra effort) and you get a portion that is almost twice the size of the little cup that you would be buying for $1.93 each! 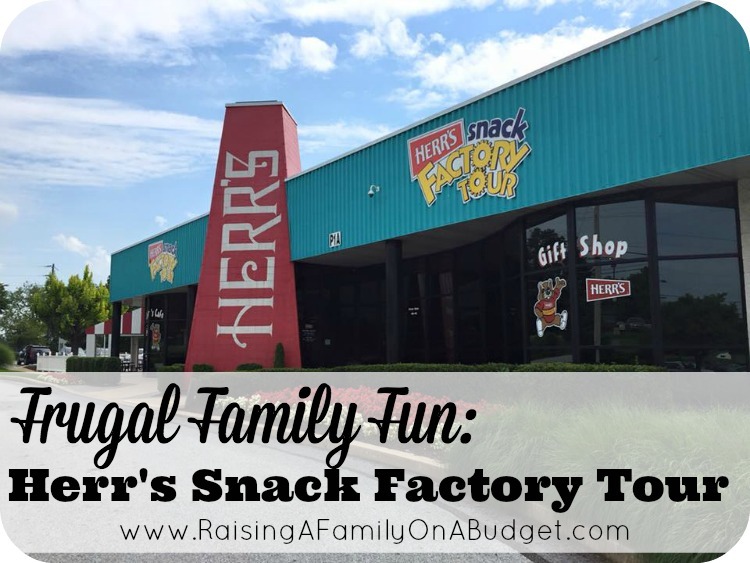 More food, less money, and you control the quality of the ingredients – That is a HUGE WIN in my book! Let today be the day that you refocus on keeping our Earth beautiful and healthy, if not for yourself, then for the future generations. What is your best Green Living tip? Share it below! After Steve being sick for the better part of the last month, and then the three kiddos and I getting sick last week, I was doing anything and everything in my power to make us feel better. One thing that really seemed to help were warm baths, and I figured why not add something to the bath water that can help us to feel better still. I mixed up a batch of these fizzing bath salts, and they spelled sinus relief for us, but there is nothing saying you can’t change up the essential oils to make your bath salts more relaxing or invigorating, whatever you need and want to do with them. The fizz in these bath salts is created by the chemical reaction between regular old baking soda (what most of us have on hand for baking and/or cleaning) and citric acid (available in the canning section of your grocery store or online). Think back to the vinegar and baking soda volcanoes that you made in elementary school; it is the same idea with these salts. For the salt portion, I like plain Epsom salt, but you can use any combination of Epsom salt, sea salt, or both. In a bowl, mix together your dry ingredients. Add 20-30 drops of the essential oils of your choice. 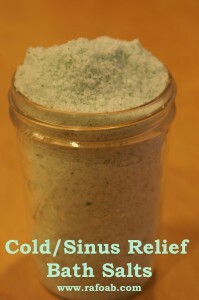 For the cold/sinus relief bath salts, I used a combination of eucalyptus, peppermint, rosemary, & lavender oils. Stir up the mixture. If you want to tint your bath salts, you can add 1-5 drops of skin-safe cosmetic grade coloring (found with the soap making supplies in the craft store). Incorporate the coloring into your salt mixture. Place your bath salts in an air tight jar. At bath time, add a handful or two of your bath salts to the warm bath water. 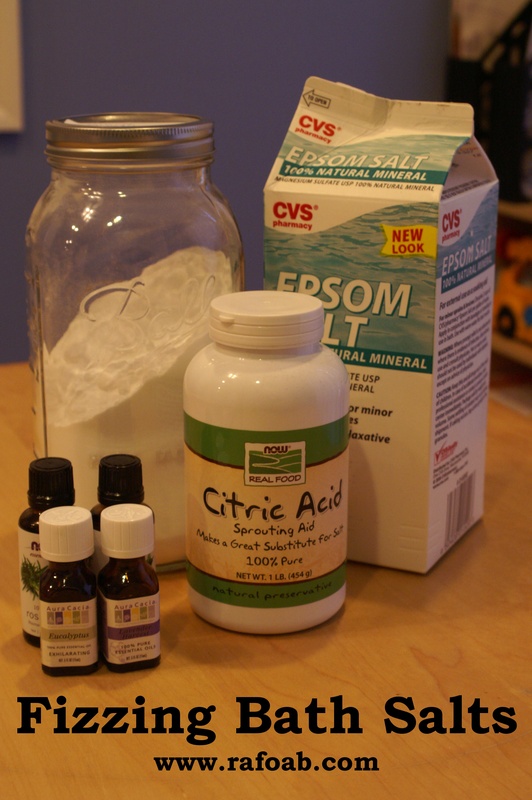 Join the DIY Blogger Project by linking up your Cold/Flu Relief DIY Project below. If you want to share the DIY Blogger Project on your site, please include the code below!